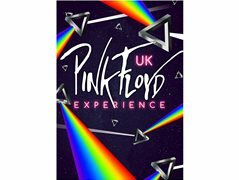 UK Pink Floyd Experience need a dep sax player for a show at Eden Court in Inverness on 17th August. Just need to cover the solos from "Money", "Us & Them" and "Shine On You Crazy Diamond". If you are a lady sax player who can join in on BV's so much the better, but the job is open to boys and girls. Be ideal if you play bari and tenor, but tenor only can work. Fee and expenses to be agreed. Paid : Fee to be agreed plus expenses.